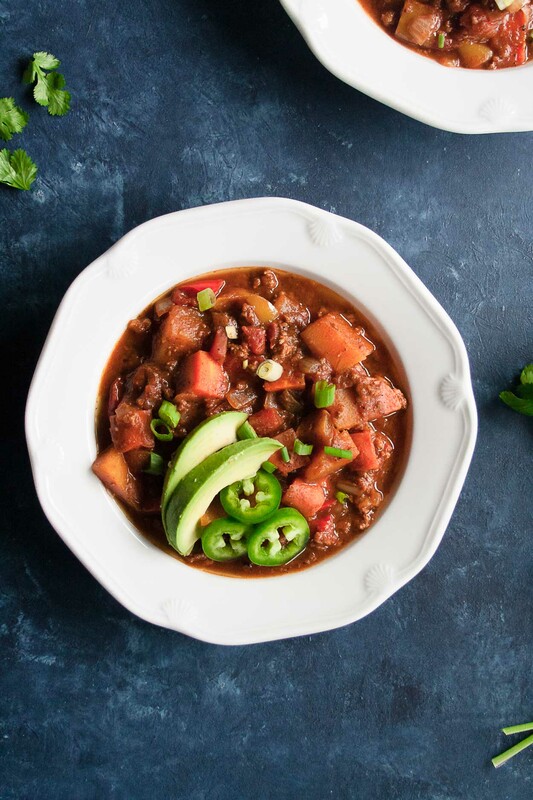 A simple, spicy, and whole30 approved paleo pumpkin turkey chili that is made in a slow cooker and screams fall – the perfect meal for the whole family! As I’m writing this post, I am sitting on a shuttle bus traveling between Northwestern campuses along Lake Shore Drive. It’s 82 degrees and Lake Michigan looks absolutely gorgeous… And I’m sweating on this bus. 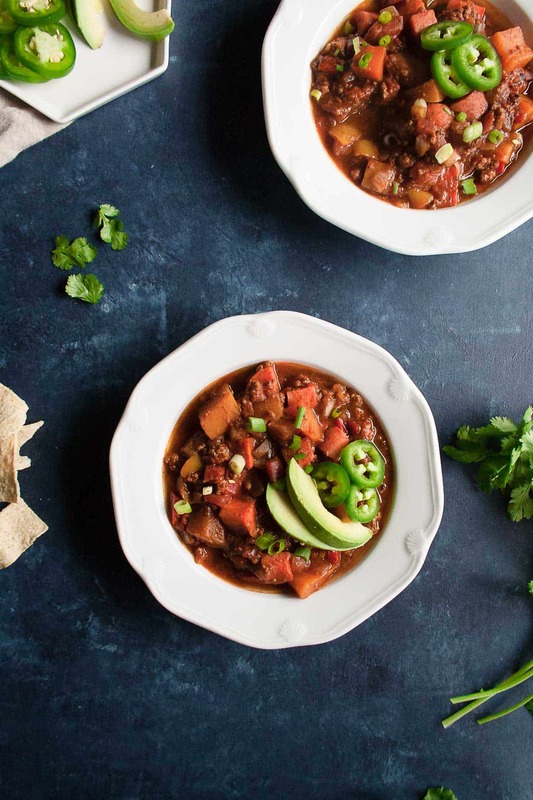 I feel like a fraud writing about this delicious paleo pumpkin turkey chili because it will warm up your heart and belly; and it couldn’t be further from what I actually want to eat this moment. Someone get this girl a smoothie, STAT. To my defense, I made and shot this chili recipe on a Sunday; it was cool and crisp. I was wearing my Sunday Chicago Bears sweater and football was on the TV… which is pretty much as fall as you can get. So no regrets. 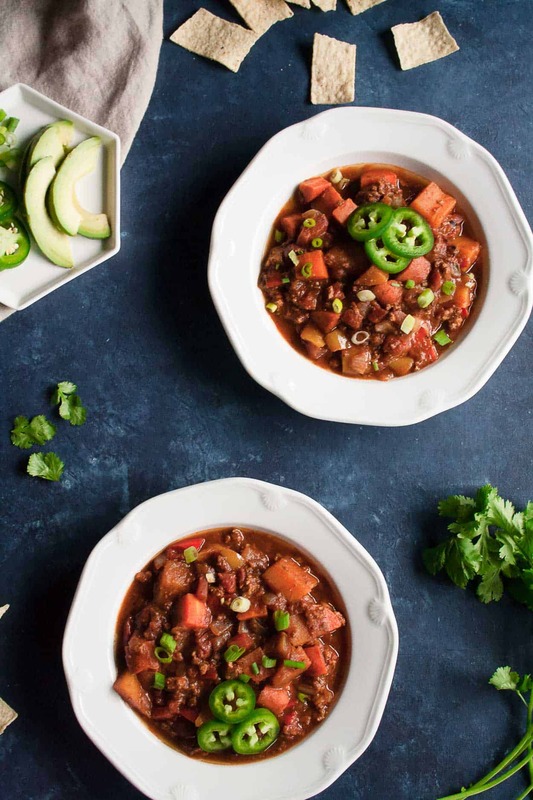 We’re here and it’s fall and this chili needs to be added to your menu plan for the weekend! loaded with vegetables – like so so many… onion, bell peppers, carrots, butternut squash, jalapenos, tomatoes! supa spicy – but you can totally knock down the spicy if that’s not your thing. I mean, it’s the total package. 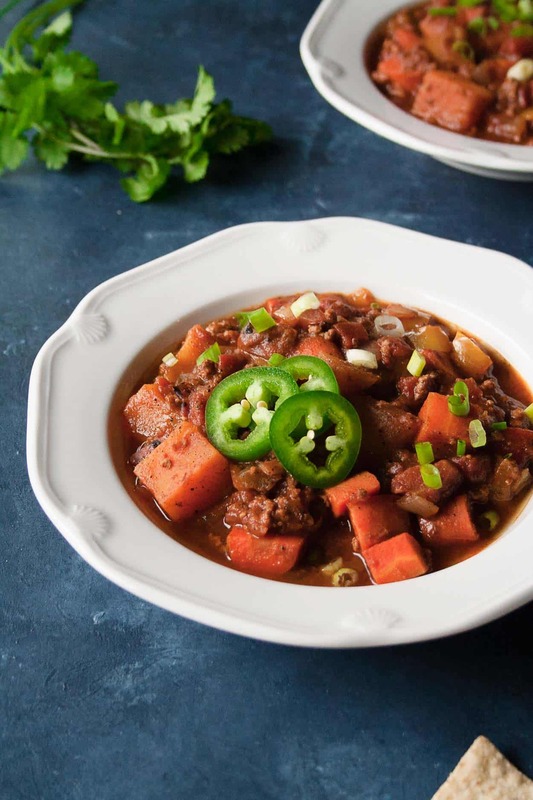 I know you are going to LOVE this paleo pumpkin turkey chili!! When you make it, post a picture on social media and use the hashtag #imhungrybynature so that I can see! Heat olive oil over medium. Add ground turkey and brown. Once cooked, add to slow cooker. Add the remaining ingredients to the slow cooker and mix to combine. *To make this Whole30 approved, make sure your fire-roasted tomatoes have no added sugar and omit sour cream/Greek yogurt, cheese, and tortilla chips. Make sure to pin this recipe for later!